Seeing your furry best friend in pain is the worst. When a family member is sick and in pain, it hurts and you just want to make it right. The same applies to our own dogs as they are part of our families too. You may want to give your dog some sort of over-the-counter medication to treat them right away. But that can actually do more harm than good. The same pain relief remedies that humans take cannot be given to canines. Doing so is dangerous and can put their health at risk. But before you can treat your dog, how do you know if he’s actually in pain? And if he is, what is the best course of action? In this article, we will look at the signs to look for and the various pain treatment options available for canines. Believe it or not, it is not always easy to tell when your dog is in pain. Naturally, some canines hide their pain to not show any sign of weakness. It is presumed to be a survival mechanism that evolved out of necessity so they would not be attacked by predators, including other canines. It is perfectly normal for your dog’s energy levels to decrease as the years go by. However, if you notice that he has gone from being very active to being lethargic very quickly, it can be a warning that something is awry. The cause is most likely pain or another health issue. You know your dog has his normal appetite when he is at the dinner table asking for some of your food. If you notice that he has suddenly stopped doing that in addition to not wanting his own food and water then you should be concerned. It can be a sign that your canine is feeling some sort of pain in the body. Is your dog in a bowing position or what is more commonly referred to as the “downward dog” in yoga for extended periods of time? A sure sign that your dog is in pain is when he is standing differently than normal. Look for signs of rigidness or discomfort in his posture. When your dog is happy and feeling good, you can see it and tell by non-verbal cues. One of these cues is his tail. Think about how it wags when you arrive home after work or when you are about to give him his favorite treat. It is the exact opposite when he is in pain. Your dog’s tail will appear lifeless and tucked in between his legs. You may find that your dog is biting himself in a particular area of his body. He may even try to bite you if you touch the same spot. If you notice either of these, your dog is most probably in pain. If your dog’s eyes look bloodshot or his pupils are dilated, this is a sure sign that he has pain or is suffering from some other health issue. Although a diagnosis cannot be made by your dog’s eyes alone, it is a cause to take the next course of action in treating your canine. Like in humans, swelling and inflammation in dogs is a sign of an infection, injury, or disease. If you notice that a particular part of your dog’s body looks swollen, he is most likely in physical pain. Some of these signs can also mean that something else is going on in your dog and that he is not necessarily in pain. The most important thing will be to detect the signs early so he can get treated promptly. Observe your dog very closely and make no assumptions. You know him best and will be able to quickly tell when your canine is not acting his usual self. There could be several reasons why your dog is suffering from pain. Traumatic injury is one of the most common of them as are medical treatments. Your dog’s veterinarian should be able to diagnose the underlying cause of the pain and provide the best treatment specific to your canine. If your dog displays any of the signs above, the first and only thing you should do is take him to see the veterinarian. They will be able to do a proper pain assessment and decide how best to treat your canine. Does your dog seem to be in considerable pain? Then take him to the emergency veterinarian clinic to be seen right away. Whether you make an appointment with the veterinarian or take him to the emergency vet clinic, be prepared to give as much information as possible to the vet. This will aid the veterinarian in diagnosing the cause of your dog’s pain. Throughout this ordeal, remain calm and trust that with the right care, your dog will improve and return to his old ways! Do not give your canine any medication whatsoever unless it has been prescribed or cleared by his veterinarian. This includes OTC (over-the-counter) medication as well. One cannot stress enough how dangerous and toxic it can be for dogs to receive any sort of medication that is not meant for his body. Please refrain from giving your dog anything unless you have been given full approval by the vet. After you have taken your dog to the vet, he or she may have prescribed some sort of drug, along with dosage, to treat your dog’s pain. In most cases, the medication will fall under one of the following. These are one of the most commonly prescribed drugs given to dogs for pain. Steroids are typically recommended to control pain associated with swelling and inflammation. Prolonged steroid use may result in complications including Cushing’s disease. This is why vets nowadays prefer to prescribe NSAIDs (non-steroidal anti-inflammatories). NSAIDs are effective but can come with side effects. If you notice anything, contact your veterinarian immediately. The strongest medication that can be given to dogs, opiates are only recommended in extreme cases of pain for a very short amount of time. Opiates work by blocking your dog’s pain mechanism. They are narcotics and can be very harmful due to intense side effects that come with increased dosage as a result of a dog’s ability to develop a tolerance. Thankfully, most vets have stopped prescribing opiates altogether in favor of NSAIDs. Although not as commonly given, antidepressants are another type of drug that can help manage your dog’s pain. The danger here is that, as in humans, this class of drug can alter your dog’s serotonin levels thus affecting his behavior and mood. This is referred to as serotonin syndrome. 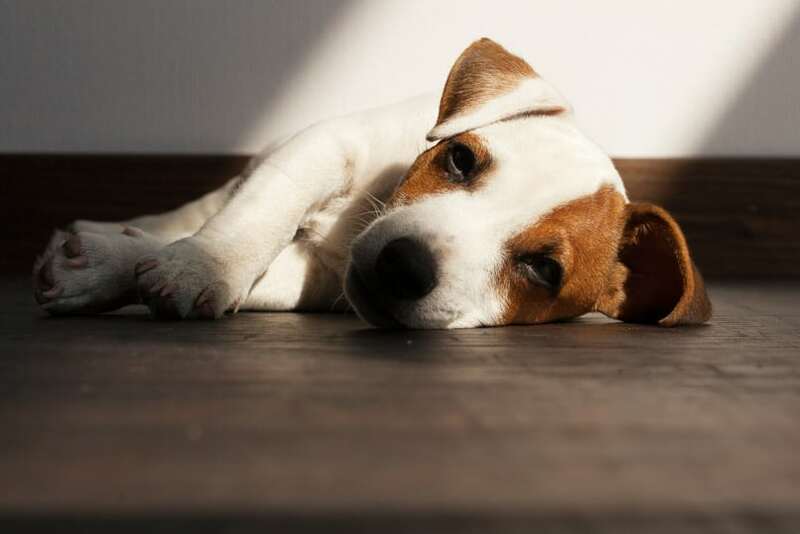 Serotonin syndrome can take effect as quickly as 10 minutes to 4 hours after your dog has been given a dose of his antidepressant medication. An alternative to prescription medication like the ones listed above, nutraceuticals are a safer option for relieving pain in canines. These are given alone or in combination with another drug recommended by the veterinarian. As you can imagine, side effects are uncommon with nutraceuticals. If they do happen, rarely are they life-threatening. Nutraceuticals are effective at relieving arthritis pain. Your vet may not recommend any of these on his or her own accord. Do your research and ask if a nutraceutical may be a viable option for your dog. For dog owners who prefer natural medicine, there are alternatives out there! Even though these may not be classified as drugs, it is still a good idea to check with your dog’s vet before trying these. 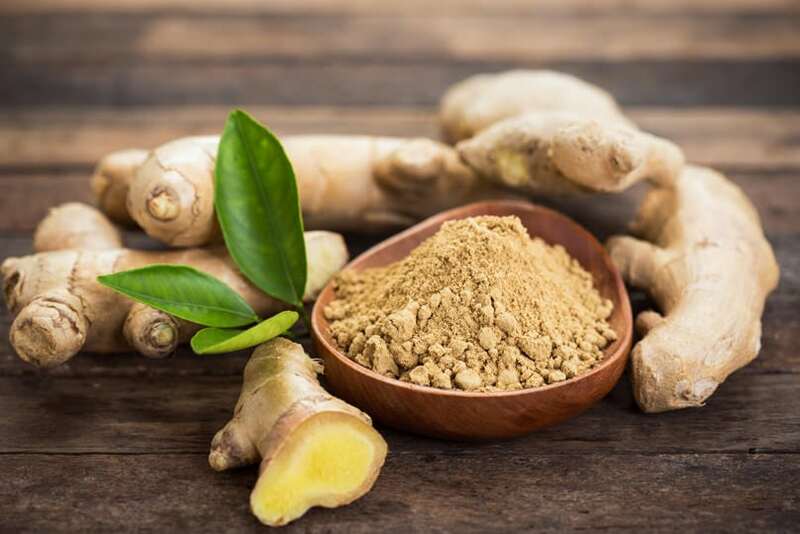 Ginger is a natural anti-inflammatory herb. It is effective at easing canine arthritis pain. Its mechanism of action is through stopping the production of leukotrienes by the immune system. The yucca root contains therapeutic properties that can relief canine pain, specifically arthritis. This is due to the anti-inflammatory compounds known as phytosterols that are found in yucca. The steroid like effects of this herb make it an effective natural remedy for pain and joint discomfort. This nightshade contains anti-inflammatory capabilities making it a good way to relieve pain naturally in your dog. The main ingredient in cayenne pepper, capsaicin, is mostly responsible for this as it increases circulation to connective tissues and joints in canines. For therapeutic pain relief in dogs, it mostly comes in topical forms such as cayenne creams or ointments. If you were inclined to give it to your dog orally, it also comes in capsule form. Tart cherry extract contains anti-inflammatory compounds that provide relief for joint swelling and discomfort. It has been used for a long time by those suffering from arthritis and is also common in popular pet joint health supplements. 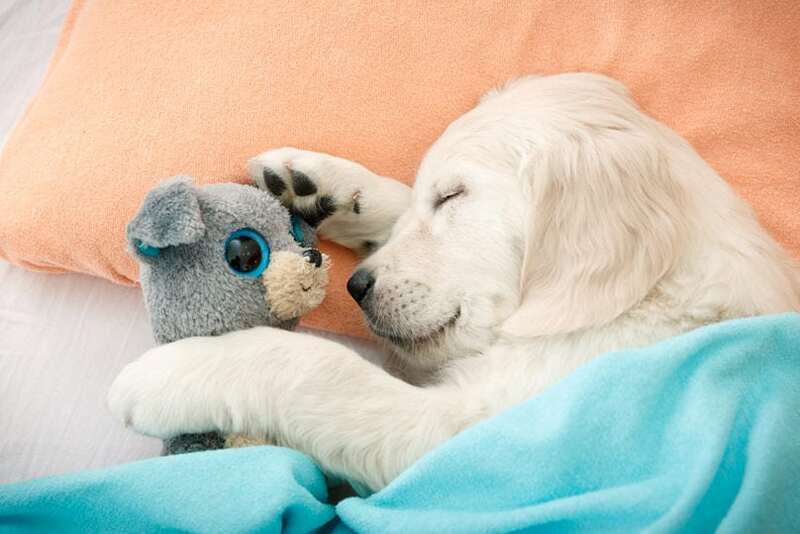 It is safe to give to your dog if he is going through pain or has arthritis. Glucosamine is a naturally occurring compound (amino sugar) or nutraceutical that is used to treat arthritis in humans and animals, including canines. It works by repairing damaged cartilage in joints and alleviates related symptoms. Glucosamine can be used to treat hip dysplasia, spinal disc injury, and other structural issues in dogs. It is generally safe to use but it may take a while to see improvement in your dog. Always check with your veterinarian especially if you are giving your dog a supplement for prolonged periods of time. Good oil vitamins are a part of a nutritious diet for canines but did you know that vitamin C and vitamin B are especially important for older dogs that have arthritis? It is optimal that your dog gets his recommended daily value of these water-soluble vitamins. To achieve this, support his diet with a vitamin supplement or increase his intake of vitamin C and vitamin B rich foods like apples. Before you ask, dogs can most definitely eat apples. Not only are omega-3 fatty acids great for its anti-inflammatory properties, it also supports cardiovascular health and aids in treating osteoarthritis in dogs. Some good sources of omega-3s include fish and fish oil, phytoplankton, coconut oil, hemp oil, flaxseed oil, and plant oils. If you decide to give your dog omega-3s, make sure that he is getting it from fish oil supplements that are concentrated. Another source of fat that is healthy and nutritious for canines, olive oil is also beneficial for dogs with arthritis. In addition, olive oil contains a decent amount of vitamin E and antioxidants that are a must in a dog’s diet. If you are already giving your dog omega-3s, olive oil should be given in addition to and not in place of omega-3s. Just like glucosamine HCI, chondroitin is an amino sugar and it helps form the cartilage found around joints. This is an important nutraceutical to give your dog because chondroitin deficiency can lead to arthritis. If your canine already has arthritis and suffers from pain, including chondroitin may work towards restoring the protective tissue in his joints. Arthritis in dogs and the joint pain associated with it is very common. There are many foods, supplements, and medications available to treat it but effectiveness may vary. One of the more effective ways to treat arthritis in canines is in the form of modified milk protein. Modified milk protein is a specialized dairy protein that is patented under the name Duralactin. It has proven to significantly alleviate arthritis pain through its mechanism of inhibiting inflammation in a canine’s joints. It has no toxic side effects and can be used for a prolonged time, making it ideal. Hyaluronic acid is a complex sugar that is essential to forming healthy cartilage in the body. It is an amino sugar similar to glucosamine and chondroitin. Hyaluronic acid works by removing free radicals in the joints, improving fluid viscosity and relieving joint pain in dogs with arthritis. MSM is a compound containing sulfur and has very effective anti-inflammatory properties. For dogs with arthritis or joint pain, it can help as MSM supports healthy cartilage. A powerful anti-inflammatory agent, New Zealand green-lipped mussel extract is derived from a type of mussel (Perna canaliculus) native to New Zealand. Its anti-inflammatory properties come from the omega-3 fatty acids that it contains. When given, it signals to the body to block inflammatory responses. Research studies have proven its efficacy in reducing pain in canines with osteoarthritis. Giving your dog over-the-counter (OTC) medication without the approval of his veterinarian is a definite and clear no. However, we’re including this information because it is commonly searched for by dog owners like yourself. Again, get the okay from your vet first if you are considering giving your canine OTC medicine. If you see your dog displaying any of these symptoms, stop giving him aspirin immediately and consult with your veterinarian. If your canine has accidentally ingested ibuprofen, take him to the emergency vet clinic immediately. Under no circumstances do you ever let your dog have ibuprofen. Unlike aspirin and ibuprofen, Tylenol is not a non-steroidal anti-inflammatory drug (NSAID) and it does not reduce inflammation. Tylenol is an acetaminophen and can be toxic to dogs. This is because Tylenol or acetaminophen typically binds to glutathione, a molecule that is responsible for detoxifying your dog’s body. Without available glutathione, the excess over-the-counter medicine will kill your dog’s cells. Like aspirin, Tylenol can be life-threatening. It is unlikely that your vet will recommend Tylenol for dog pain relief. In the event that they do, it is best to ask for a much safer alternative. It can be easy to get caught up in the moment that your dog is in pain. You want to do something right away! The sense of urgency can lead you to believe that you can get away with giving your dog some sort of pain reliever. You may justify that it is all right because it is only temporary and a small amount. All of this comes from the right place and with good intentions. Unfortunately, it is not the right thing to do. The best and right way to relieve your dog’s pain is to take him to the veterinarian. 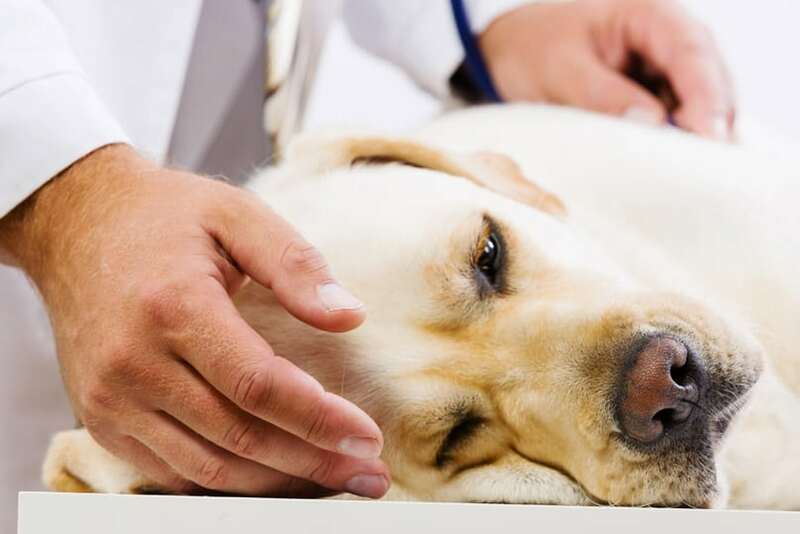 At the vet, your canine will get diagnosed correctly and receive treatment. With due time, he will go back to his normal ways. Remember to give your dog as much love and attention as possible throughout. The pain he may feel is usually temporary but the bond that you build with your dog lasts forever!